Many people worry that they cannot get bonded out of jail if they have bad credit. Likewise, many others wonder if bailing a friend out of a jail will affect their credit score in any way. If you are one of these people, there are two facts you should know right now: 1) you can post bond with bad credit, and 2) you are in the right place if you need to obtain a release from jail, whether for a friend or for your own arrest warrant. In the meantime, continue reading to learn more about bonds and credit scores. When you are asking about your credit score, it is important to know that there are several different credit scoring models, and they use different scoring scales. 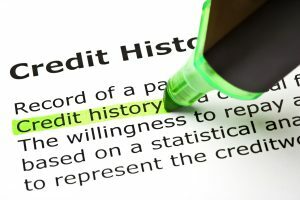 If you are checking your credit, be sure to use a qualified and reputable company that can provide an accurate FICO score. In general terms, a FICO score below 600 is considered bad credit. Furthermore, scores between 600 and 649 are poor, scores between 650 and 699 are fair, scores between 700 and 749 are good, and anything score above 750 is considered excellent. If your FICO score is below 650, it is considered a bad credit score, or non-standard, in the surety industry. However, with a bad credit score, you can still apply and be approved for a bail bond, but you will likely have to pay more. However, if you have a credit score above 650, but have certain implications on your credit report, such as significant tax liens or civil judgements against you, you may be considered a high-risk client. In this case, a bail bondsman may refuse to provide their services, or they will have to charge more. Generally, if a person has bad credit, they can expect to pay more for bail bonds. The price for bail bonds is regulated by the state insurance department, which remains between 10 and 15 percent. If a person has bad credit, a bail bond company may choose to charge on the higher end, around 15%, rather than the standard ten percent. This entry was posted in Bail Bonds and tagged bad credit bail bonds, Bail and Credit, Bail Bonds Credit Score, Credit Score and bail, hamilton county bail bonds, post bail bad credit. Bookmark the permalink.